Organic matter from the garden can be turned into compost and added to landscape soil to increase water holding capacity. Some of the best practices for maintaining healthy home gardens and landscapes also cut water use, a particularly important benefit during the drought. That's the case with compost. UC Agriculture and Natural Resources' environmental horticulture advisors and UC Master Gardeners have long encouraged Californians to liberally use compost to improve their soil. “Adding compost to your soil on a regular basis increases the amount of water your soil can hold, therefore decreasing the amount of times you need to apply water to your landscape,” says Missy Gable, the director of the UC Master Gardener program, in the final installment of a six-part video series on water conservation in the home landscape. 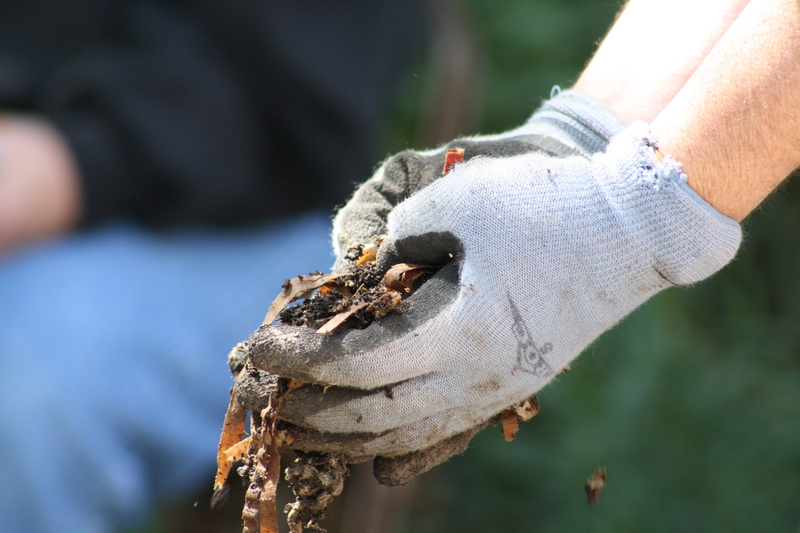 Compost is organic matter – grass clippings, fallen leaves, spent bedding plants, vegetable peels, coffee grounds, etc. – that has been dampened and turned regularly so it is broken down by worms and micro-organisms. The finished compost, a dark black blend with a pleasant earthy smell, can be mixed into the native soil in the landscape. Compost improves the soil texture, holds moisture, provides food for beneficial bacteria, and nutrients for plants. Detailed information about the benefits of compost and instructions for home composting can be found in Composting is Good for Your Garden and the Environment, a UC ANR publication available for free download from the UC ANR publications catalog. Additional videos in the UC ANR series on saving water in the landscape. Great article with valuable information.